Fr Corapi: The Black Sheep Dog is Unleashed! As the saying goes: “the cat is out of the bag!” Well, in this case… dog? 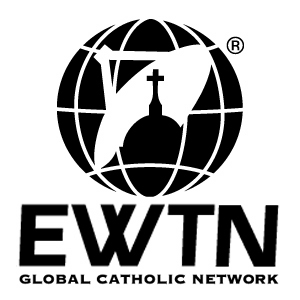 EWTN was deeply saddened by the news that Father John Corapi has announced his decision to resign from active priestly ministry and religious life. Unfortunately, his decision makes it impossible for the Network to return his programming to the airwaves. We urge our EWTN Family to continue to pray for him, for all priests and for the unity of the Church. A South African university is set to award talk show queen Oprah Winfrey with an honorary doctorate, reports East Coast Radio Newswatch. The University of the Free State will hand over the accolade in an upcoming ceremony which is open to the public. The university says it wants to recognise and honour Winfrey’s accomplishments as a global media leader – as well as her contribution in the field of education and development. Winfrey already holds honorary doctorates from Princeton University as well as Duke University in the US, among others. I have no doubt that some of the priests who are now on ‘administrative leave’ have been falsely accused, and it is terrible to read some of the comments of those who have been gathering around in the wake of the Corapi affair like a pack of hyenas to fight with others for their bite of the corpse. I’m not saying John Corapi is innocent or guilty. We don’t know, but everyone deserves a fair hearing and to judge the man too harshly for his recent decision is also unfair. We just don’t know the facts. We should step back and observe and pray and hope good comes from these events. See what he has to say, click here. The man formerly known as “Father John Corapi” was known for being a bit dramatic. His voice and even sometimes what he said has always been a bit suspect to me. But, because he was preaching orthodox Catholicism and had a profound, positive impact on those who listened to him, I just passed it off. In a move that surprised even Corapi’s opponents, who are mostly liberal “Catholycs,” Corapi announced via his website and YouTube video (see below) that he would no longer be refered to as “Father” John Corapi. (I need to preface this next statement by clarifying that I am NOT kidding.) Corapi now wants to be referred to as “The Black Sheep Dog” John Corapi. Mark Shea, Catholic writer and blogger, said, “John Corapi sets world record for most passive-aggressive manipulative self-aggrandizement ever squeezed into 8 and a half minutes.” He also called Corapi’s followers “suckers.” He later apologized for “loosing his temper” in his comments. Shea has a point, though. Corapi let the investigation go on for all of about 4 months before calling it quits to his priestly vows. Not only does it make him look as guilty as O.J., but it also makes him look as though he is using this opportunity to sell more product and make more money (the first post on his new website was about a sale in honor of his ordination anniversary). The video post of Corapi’s self-pitying groaning has almost 70,000 views just two days after it was posted. But the negative response to his bizarre action is going viral at a much greater rate. Even the comments on the video are not supportive. More at New Media Catholic here.